As a Church of England School, we have strong links with our local church, St Mary’s Church. There are many ways in which these links are forged, including regular school services at the church and weekly visitors from the church at our assemblies. 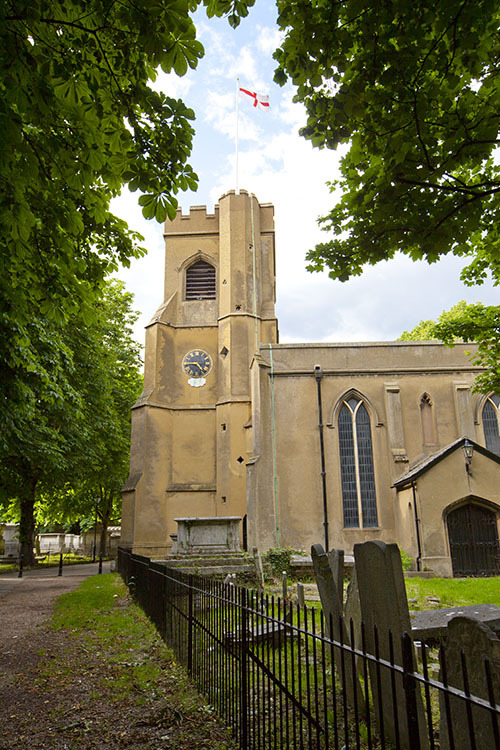 Here is what our Team Rector in Walthamstow Parish, has to say about our church: Our ancient building is the historic parish church of Walthamstow. People have worshipped here for over 1000 years. St Mary’s is home to a vibrant, multi-ethnic Christian community. With our sister churches we enjoy a range of Sunday worship and midweek activities for people of all ages and backgrounds. For more information about groups and activities please visit our website – enquiries to enquires@walthamstowchurch.org.uk. All that we do celebrates and explores life in response to God’s love. We believe Jesus Christ offers real hope for our world, and whilst we don’t get everything right, we want to contribute to the common good of all in our community. Reverend Vanessa Conant. Team Vicar.